Harley Quinn originally appeared in the animated series Batman: The Animated Series, created by the duo Paul Dini and Bruce Timm in 1992. The critics and audience reacted so positively towards the character, she was included in the comic book DC universe in 1999. 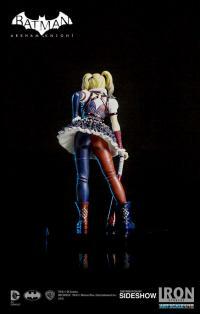 Initially a psychiatrist, Harley became a romantic partner of the insane Joker, and one of the most iconic Batman villains. 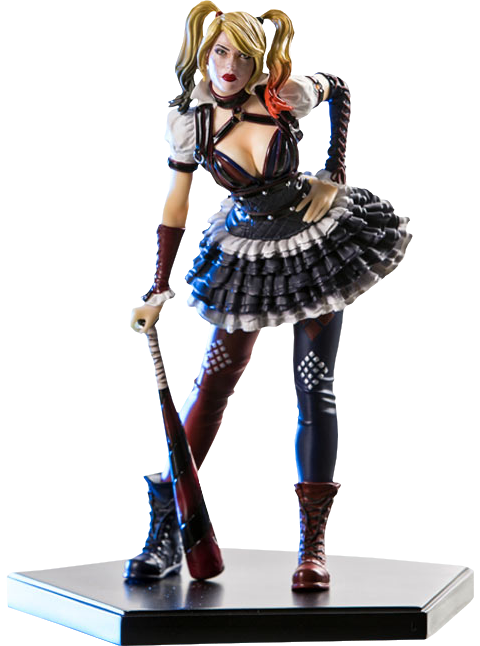 The Batman: Arkham Knight (2015) game features Harley as one of the main villains. 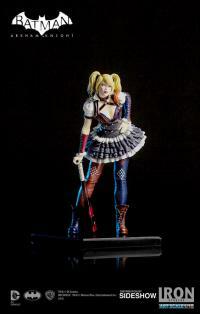 The new leader of The Joker's gang, she seeks to kill Batman. 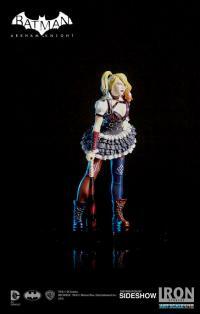 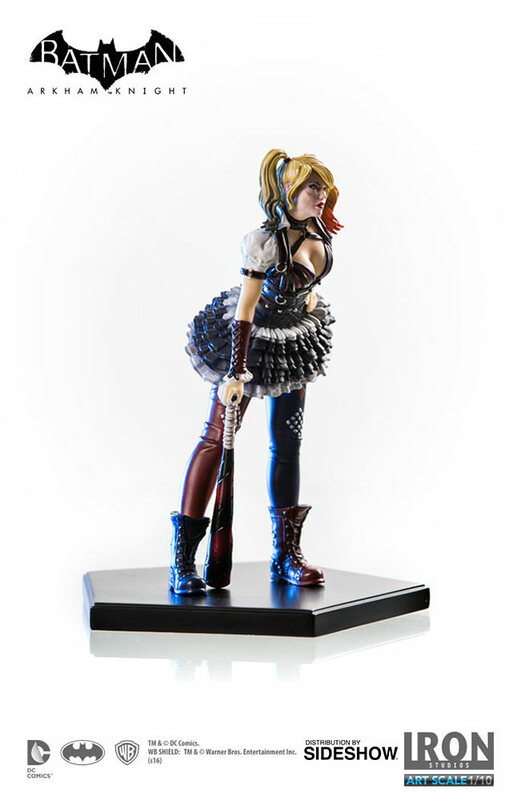 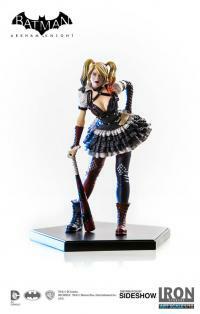 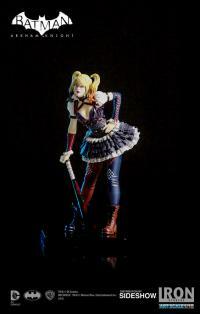 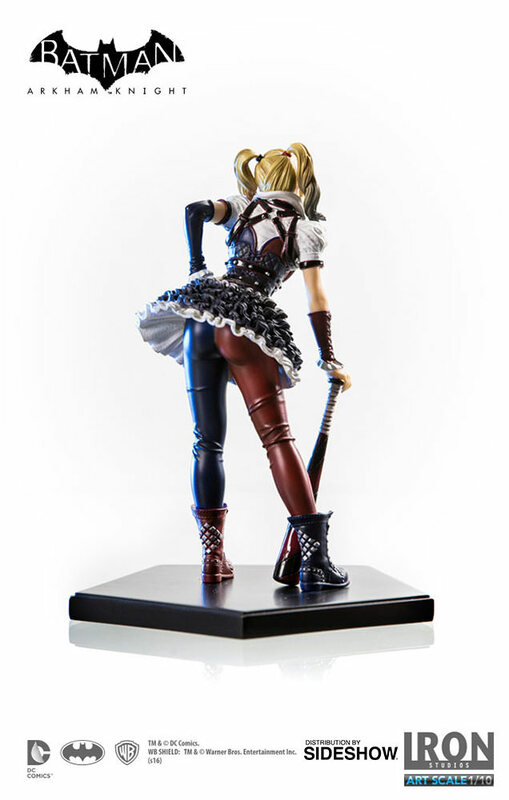 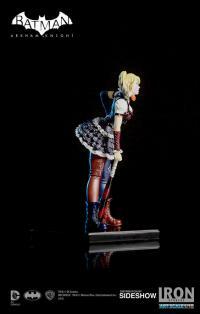 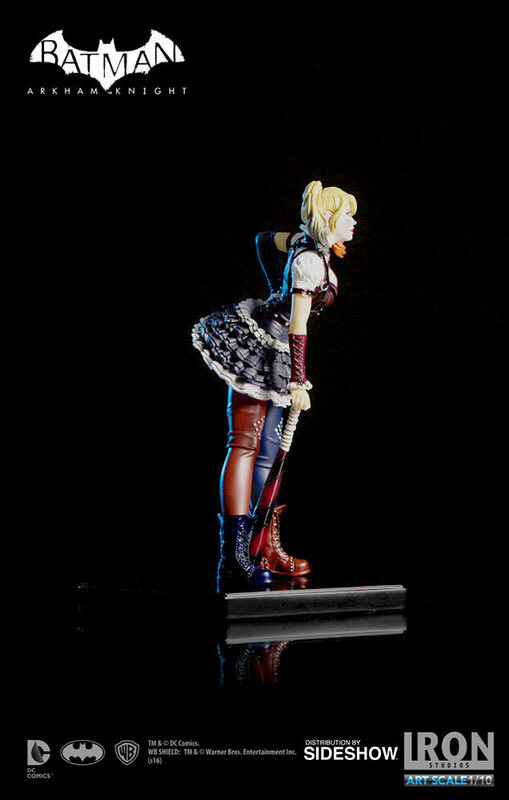 Sideshow and Iron Studios proudly present the limited edition Harley Quinn 1:10 Art Scale Statue. 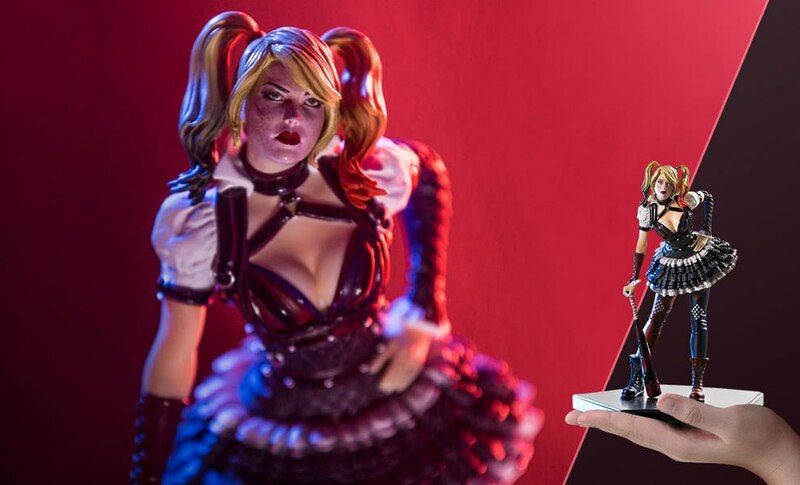 Based on the 3D references from the game, this hand painted polystone statue includes a display base.